eNoah Walkin Recruitment For US Voice Process Jobs | 2nd August to 31st December 2017. eNoah is conducting Job openings in Chennai for Graduate Freshers to fill 20 Associate, Senior Associate – (NonTechnical) positions. Candidates who are preparing to attend for eNoah Walkin Drive can refer eNoah Placement Papers which will be helpful for the Applicants to prepare well and can improve their chance of getting selected in the eNoah Recruitment. eNoah is hiring for graduate freshers for International US Voice Process Jobs. Job seekers can attend for this walkin with at least 0 to 3 years experience. Contenders who have good communication skills and willing to work in night shifts, the company will give Best Compensation in Industry with attractive allowances and career benefits. As the last Date is fast approaching For eNoah Company, candidates can start their preparation by checking out eNoah Test patterns to get the desired job. This will be a good opportunity for those people who wants to get a job in IT field. Candidates can utilize this opportunity to set better career. Contenders are also suggested to check the Official Notification to avoid further Complications. Salary 1,75,000 – 2,25,000 P.A. A Great Opportunity to work with eNoah. eNoah iSolution India Pvt Ltd is hiring for International US Voice Process. Shift: Night Shift, 5 days working. Salary: Best in Industry with attractive allowances and career benefits. No Sales, Marketing, Only Customer Support US Calling. Shift: 7 pm to 5 am, Monday to Friday. 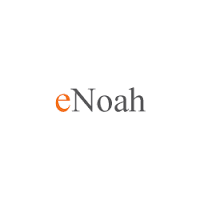 eNoah is a boutique consulting led integrated BPO and IT solutions company providing services to Fortune 1000 companies in the Integrated Health, Insurance, Manufacturing and Automotive domains. With strong domain focus, the solutions are vertically integrated and delivered through a client intensive relationship based global delivery model. Over the last 9 years, eNoah has enjoyed repeat businesses from all its clients due to its obsession to client delight and delivery. eNoah’s mature and established service delivery setup helps clients pilot and steady state the processes with the focus on metrics driven outcomes that would exceed customer SLAs. All Interested and Eligible candidates can attend for eNoah Walkin 2017 which will be held in Chennai from 2nd August to 31st December 2017. Applicants are suggested to check the details and can attend for Latest Walkin on or before the closing date. We hope the required info about eNoah Walkin Drive is useful for the job seekers. Candidates who are interested in working with eNoah for the role of US Voice Process Jobs can attend directly on given walkin dates at the above mentioned venue.